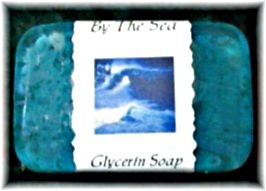 Our glycerin soaps contain rich and vibrant colors and scents. They are embedded with our natural soap shreds, so you will get the added benefit of the skin nurturing oils in natural soaps. The soap shreds also make a sudsy and long lasting bar. Copyright Garden of Eden Specialty Soaps. All Rights Reserved. powered by 3DCart Online Store Software.